CLOSEOUTS. 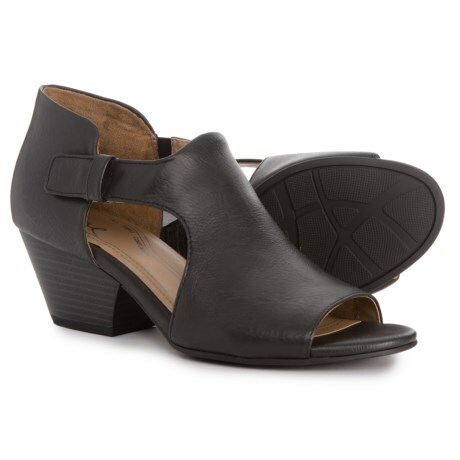 Natural Souland#39;s Daya shoes have wear-with-everything status, thanks to the flirty peep toe and sassy side cutouts. Available Colors: BLACK, ACORN. Sizes: 6, 6.5, 7, 7.5, 8, 8.5, 9, 10, 11, 9.5, 5.5.